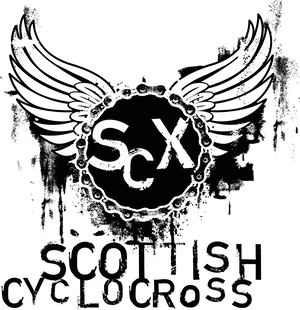 Scottish Cyclocross Association: CYCLING SELLOUT IN SECONDS FOR BO'NESS CYCLOCROSS RACE. CYCLING SELLOUT IN SECONDS FOR BO'NESS CYCLOCROSS RACE. Within only one minute of the Dig In Around the Dock Cyclocross race going live on the internet, it sold out of all it's 100 places. The popular season ending bike race returns to Bo'ness on an earlier date of January 4th 2015 for the fourth year in succession. Last year saw riders from all over Scotland attend the off road, hour long race around the dock area and woodland of the shore-front in the town. This year as well as riders from England, Scotland and Ireland, there will be riders from France and Sweden competing in now what is dubbed as “Scotland's Favourite Bike Race”. The depth of field in the race is also very impressive with a host of Commonwealth Games athletes on the start list as well as World Cup Mountain Bikers, World Masters Track racers, Scottish and British Champions, all keen to lift the coveted Dig In Golden Cowbell at the end of the race. Event Organisers David Hamill along with John McComisky will have to open up further fifty places in the race, such is the demand for a slot in the most anticipated cross race of the new year. On the subject of a race entry, the organisers came up with a great fund-raising idea for the town of Bo'ness. After an E-bay auction the boys raised £100.00 for the local Storehouse, and wish them all the very best with all the great work they provide within the community of Bo'ness. The event has also retained major sponsorship from Pedalpower in West Calder, one of Scotland's largest retail cycle shops, who will be bringing down their full cycle clothing range at January Sale prices. Along with this presence, a full list of Bike Shops from all over Scotland will be displaying bikes and their wares on the day in a bikers village, with manufacturers such as Cannondale, Giant and Ridley all displaying the latest kit. There will also be demo bikes available on the day to try before you buy.. There are further entertainments on the cards in the shape of live samba music, commentary and music. And just for the kids the lads are again providing free face painting, fun competitions and healthy hot and cold food available on site all day from 10am. There will also be the handing out of the sought after Pedal Power cowbells and a race programme full of Cyclocross articles and pictures which will be on sale for £3.00 in the main arena.